Fab Hospitality manufacture the Chafing dishes which come in various shapes and sizes with a whole range of features and options. As a result, selecting the right chafing dish can be a complicated choice. Most successful chafing dishes manufactured by Fab Hospitality is great for buffets, banquets, or catered events will utilize in some capacity. Some are round. Some use induction. Some have roll top, retractable covers, but there’s one option from fab hospitality that can offer more fresh food, more durable, and more stylish. 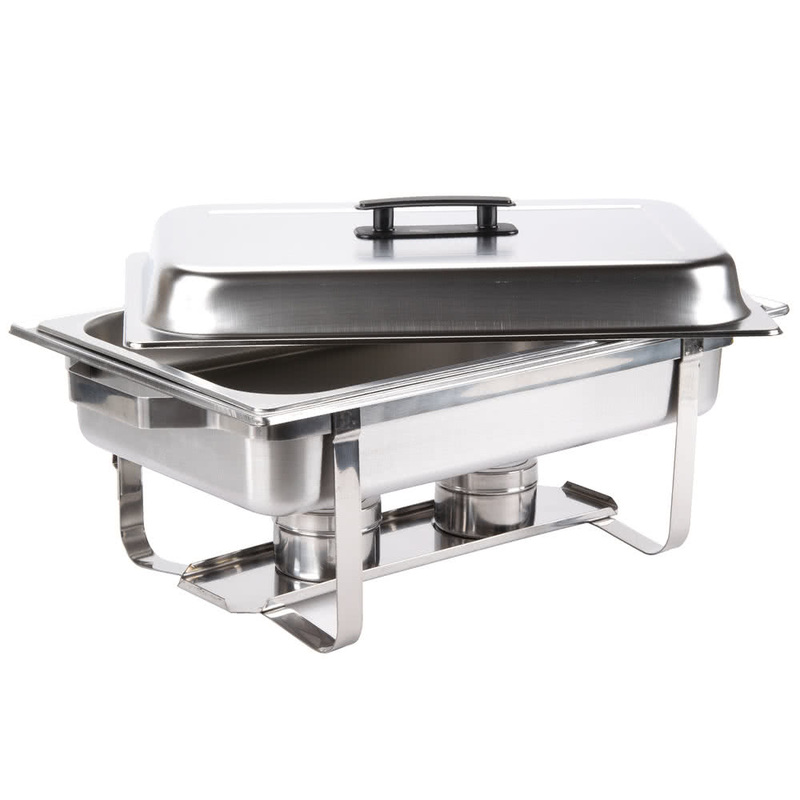 Fab hospitality chafing dish are a modern option for any type of buffet service. Made with top-quality materials and innovative engineering Chafing Dishes provide function and fashion at very affordable price. Most chafing dishes are metal pans inserted into metal stands with lids. Water is placed between the pan and the stand and a source of heat is activated from below, to keep your food warm, without risking drying it out. In the Hospitality and food service world, chafing dish are a chef’s best friend. Not to mention they are a vital necessity for anyone who entertains and handles buffet-style meals on a regular basis. The main goal of a chafing dish is to keep your food supply at the proper temperature throughout the event. Best yet, they are easy to use, even simpler to maintain, and essentially, they make life much easier for the avid caterer or entertainer by not constantly having to worry about the temperature or presentation of the food. Here at Fab Hospitality Hotel Restaurant Supply, we have a wide variety of options for you to choose from depending on your needs and preferences.